Laughter and groans ensued as each player recognized their challenge of incorporating the image into a group story. “once upon a time…” the players began to weave a tale. On the next round I added a challenge make it all on one theme or subject. 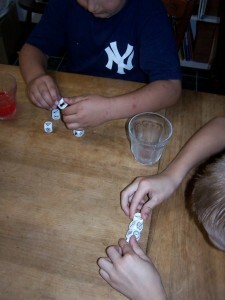 We tried subjects familiar to their curriculum and it provided a much higher level of gamesmanship. 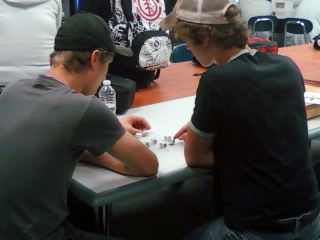 On this particular morning I was trying out Rory’s Story Cubes in a high school Agricultural Mechanics class. I began my test with one cooperative student and soon had a large group clustered around. 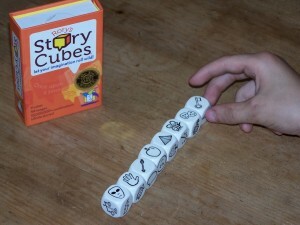 Looking for ways to add the curriculum to story cube fun I began challenges to the student players. We did a round using vocabulary words. Students in foreign language played a round telling the story in the language they are learning. Theme telling as recommended on the package was incorporated into curricular support choosing a topic from the lesson plan. The next roll the story must incorporate small engine repair for my agricultural mechanics group. Students returned to me later in the day during a free period with the request to play the game, that to me was the best review, the approval of this group of high school students. Simplicity of the game allowed quick understanding of the skill required while also challenging the students to new levels. This was very evident through its popularity within the Special Education setting. The game was used in curriculum support again and was a popular reward for work completion. Teachable moments occurred when working with younger students. These came from some of the iconic images. A roll of the dice producing a Pyramid image allowed us to look quickly at the computer to see pictures from the pyramids at Giza. With this more in depth look and quick lesson on the early culture in Egypt the students quickly incorporated the new found knowledge into the game. As a generational counterpoint I played the game with a group of nursing home patients and found it brought out delightful interplay and stimulated memories and conversation. The residents varied backgrounds made for an intellectual story with moments of whimsy. I thought it an excellent game for mental stimulation and recall desired for early stage dementia patients. Rory O’Connor and Anita Murphy of Belfast, Ireland have come up with a flexible game that recreates the skills of the Irish storytellers –The Senachai. 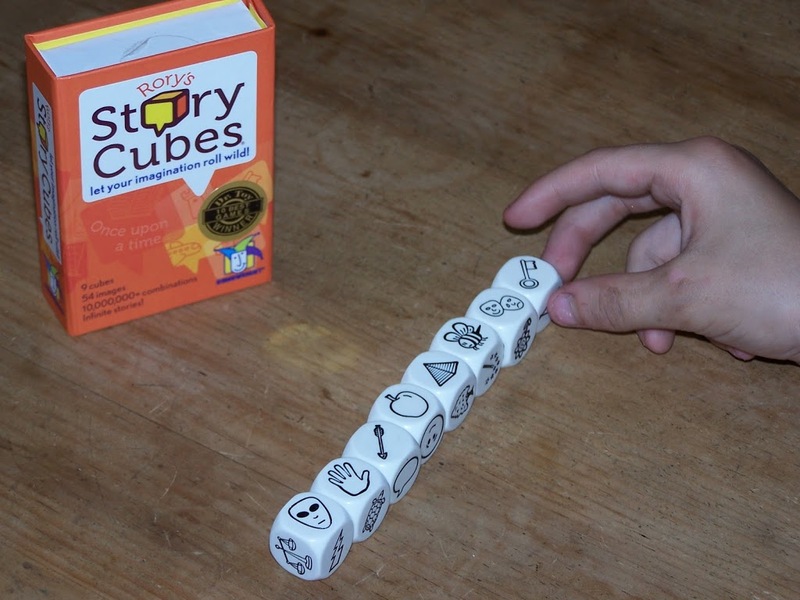 The product Rory’s Story Cubes have garnered more than a half dozen toy/game awards. This list includes the 2011 Best Game Award from the Independent Toy Awards – Toy Shop UK. This award was based on independent retailers experience and recommendations. One student suggested playing in an Irish accent after reading my printout from the Rory’s Storycube website.